Quest South Perth Foreshore opens this week marking the apartment hotels network’s eleventh property in Perth and fifteenth in Western Australia. Quest South Perth Foreshore features 90 apartments comprised of studio, one, two- and three-bedroom apartments. In addition there is also an onsite gym, outdoor alfresco BBQ and entertaining area, as well as a business lounge and a range of meeting and conferencing spaces. 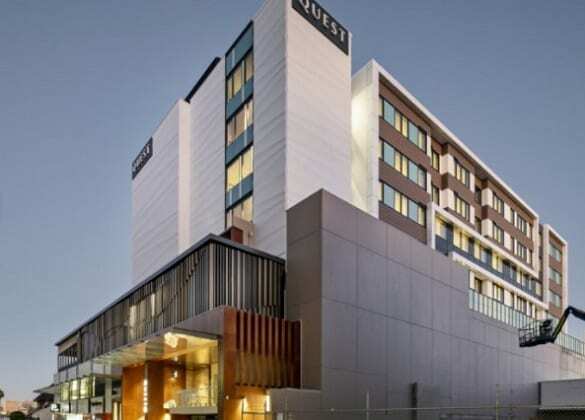 “South Perth is one of the state’s fastest growing urban areas with thousands of small and medium sized businesses, government departments, universities and residents calling it home,” said Quest Apartment Hotels chief commercial officer Craig Ryan.